In recent years, China has aimed to overcome its reputation of being a hub of food safety violations, however, with the emergence of e-commerce, compliance and enforcement will mean it will continue to be an issue. In this article, Shane Farrelly and Veronica Gianola of D’Andrea & Partners outline advances in food traceability, new opportunities for international cooperation and legislative changes that affect the future of food safety in China. Food safety is an issue that affects the public health of everyone in China. A survey conducted by Edatapower.com, covering 10 provinces and municipalities in China, found that the most concerning issue for the Chinese people was the safety and origin of the food they consume on a daily basis, trumping public security, traffic safety and medical safety. The world has seen a number of food safety scares in recent years, such as the outbreak of Escherichia coli in Europe and of Salmonella in the United States. However, these incidents pale in comparison to the scandals reported on the Chinese mainland. Egregious examples include the infamous melamine tainted milk scandal of 2008, or the panic that arose when it was found that vinegar in China was contaminated with antifreeze (reportedly claiming the lives of 11 people). The list of scandals is clear for all to see; food safety is a persistent problem in the Middle Kingdom. As international scrutiny grew, following a slew of food safety scares across China, a growing number of middle-class Chinese citizens became concerned about food safety, leading to poor consumer confidence in domestically made products. The short-term solution was to import foreign-made products, such as baby formula from Australia and beef from Ireland. However, importing foreign made products was unsustainable, so in order to stimulate the consumption of domestically produced goods, regulatory reform was deemed to be vital. The revised Food Safety Law was passed by the Chinese Executive Committee on 24th April 2015 and came into force on 1st October 2015. The Food Safety Law introduced more stringent regulatory controls on Chinese food companies and increased oversight over the entire supply chain, effectively improving safety measures for food production and traceability. Many provisions in the Food Safety Law consolidate and expand on pre-existing food safety restrictions, while also containing severer penalties. The newly-revised law also imbued local as well as regional regulatory food safety bodies with more authority to set harsher penalties for food safety violations and provide more guidance in the manufacturing and production process. More attention has been paid to food products that have recently seen scandal (e.g. baby formula ingredients must now be registered with the provincial-level Food Department Authority). The Food Safety Law also takes e-commerce online food distribution into account, making it subject to the same regulations that are tailored to more traditional channels of distribution. In the past few years, less-traditional means of tackling food safety issues have been used, as a number of companies have turned to blockchain technology to restore consumer faith. The global tech-giant IBM, in conjunction with Walmart and experts in safety transaction security and authentication technology from Tsinghua University, aim to harness blockchain technology to improve food traceability, authentication and record keeping along a producer’s supply chain – providing a permanent record of every transaction. Blockchain, most commonly associated with the crypto-currency Bitcoin, is used to record every transaction and ensure that consumers are making payments correctly. Once this information is recorded and publicised it cannot be changed, thus ensuring an extra layer of security. 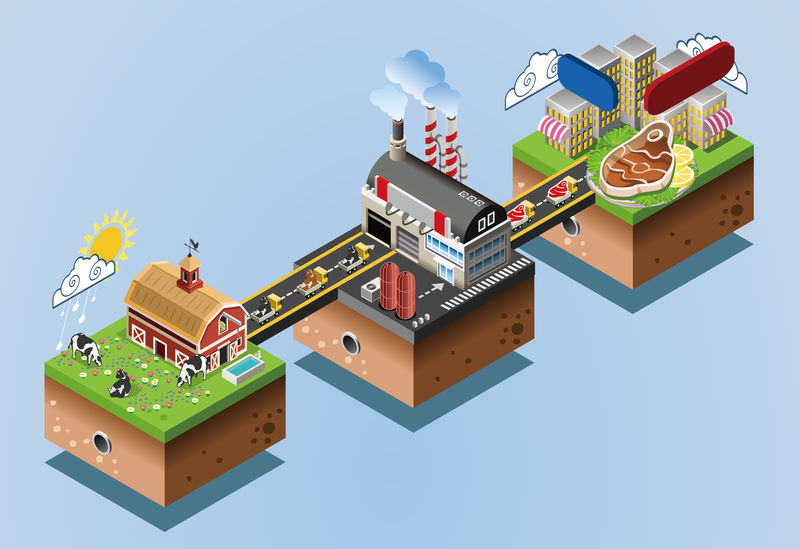 By utilising this technology in food traceability, blockchain will enable the digital tracking of food products from farm-to-table (i.e. from the suppliers to the consumers). It will digitally connect food items to the product’s digital information by providing origination details, batch numbers, factory and processing data, expiration dates, storage temperatures, and shipping details, among other types of data. All of this information will be entered into the blockchain at each step of the shipping process. The information on each transaction is agreed upon by all members of the particular business network, and once there is a consensus, the record of each transaction becomes permanent. China’s e-commerce platforms have followed suit, with JD.com, the country’s second largest e-commerce platform, and the Inner Mongolian-based beef manufacturer Kerchin utilising blockchain technology to track the production and shipping of frozen beef. Food fraud is estimated to cost euro (EUR) 46 billion globally each year and is expected to rise. In an effort to tackle such issues, a EUR 10 million grant was given by the European Horizon 2020 program and China’s Ministry of Science and Technology to establish the EU-China-Safe project, which consisted of 33 members (15 based in the European Union (EU) and 18 in China). These members, which include many governmental agencies, research and development-based organisations, and major players in the food industry, will be tasked with improving food legislation, inspection, training and transparency, and facilitating trade between the EU and China. State-of-the-art technologies will be available to improve food detection and safety across the trading regions. Some examples of which include an EU-China Joint Laboratory Network, collaborative surveillance systems, new traceability tools, advanced use of blockchain technology and new efforts in fraud prevention. In order to address food safety and traceability issues, along with the realities of the global market, China must finally crack down on domestic violators in the food industry and engage in international collaboration to improve best practices and restore the trust of Chinese consumers. With China’s rapid adoption of technology, such as blockchain and the Internet of things, it is reasonable to expect that in the future there will be a lower barrier to complying with food safety standards in China, especially as the costs of adopting technology are reduced over time. However, with the food sector increasingly becoming globalised, risk still exists, and as supply chains lengthen fraudsters and violators may increasingly become more creative. An increased amount of collaboration and transparency is required in the adoption of these new technologies, and partnerships must be formed to yield substantial and long-lasting results. Finally, it is worth mentioning the State Administration for Market Regulation was formed at this year’s National People’s Congress and will now be the new super-regulator inside the Chinese Government. They will now be the chief overseer of China’s market, with a broad mandate to oversee food, drugs, consumer and industrial products, among other things. The functions of the State Administration for Industry and Commerce, the General Administration of Quality Supervision, Inspection and Quarantine, and the China Food and Drug Administration were incorporated into this new administration. Merging large bureaucratic institutions can be challenging, so those interested in food safety developments should pay close attention to further announcements as the government restructuring continues. D’Andrea & Partners is an international law firm and point of reference for companies that want to enter the global market and be successful. Established by its founding partner, Carlo Diego D’Andrea, attorney at law and pioneer in Italian and European law in China, today the firm is made up of professionals coming from different countries around the world. Besides the main operational headquarters in Shanghai, D’Andrea & Partners has a number of branches in China and outside the country in Italy, India, Vietnam and Russia. The firm’s clients include large industrial groups, plus medium-sized Italian, European, Chinese and global enterprises. 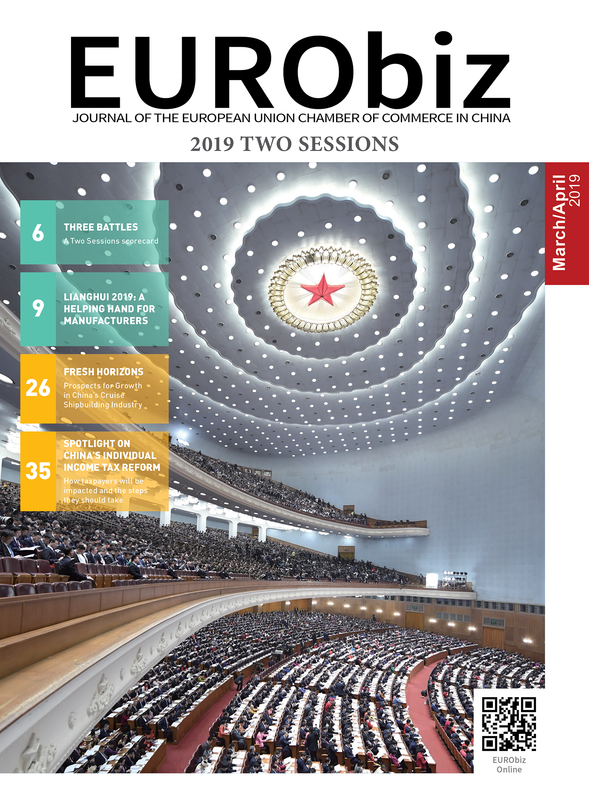 Share the post "Food Safety and Traceability in China"
EURObiz magazine is produced by the European Union Chamber of Commerce in China. It tells the unique story of European business in China, utilising the experience and expertise of the companies and executives that shape China's business landscape.